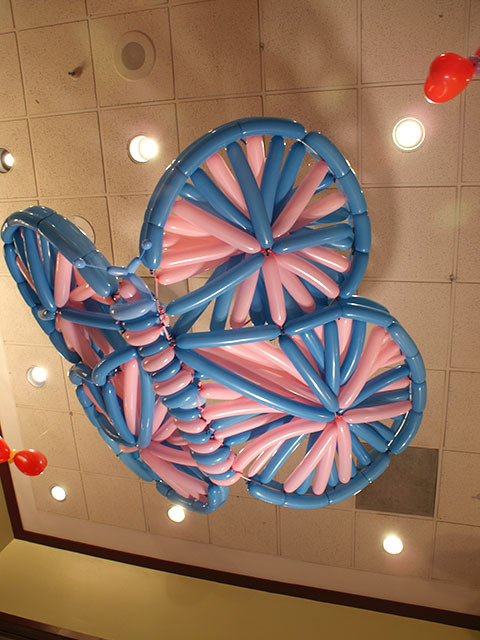 This butterfly from Alice in Wonderland took up the entire ceiling. It had an 8 foot wingspan and was attached to the ceiling with magnets. It was huge and really finished of the theme. 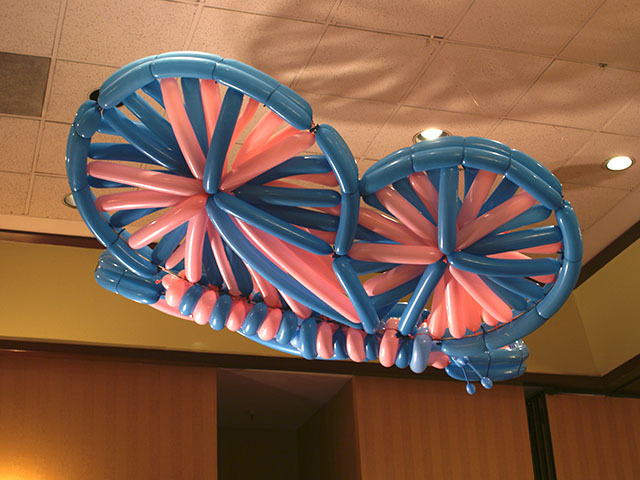 This entry was posted in Uncategorized and tagged alice in wonderland, ballon, ballons, balloon, Balloon Sculptures, balloons highlands ranch, baloon, baloons, Butterfly, butterfly balloons, Disney, globos sculpture, radisson by foulball. Bookmark the permalink.